Any home requires sprucing up or updating. Even the modern ones. The question is what can you do with it. Sometimes, people just want to freshen it up or just change things around. Well we got your covered here! Here are some tips on improving the interior of your home without breaking the bank. First thing to decide is on the ambience of your room. Do you like things cluttered or sparse? Do you enjoy after coming home to relax on the couch and have a glass of wine or are you more of a movie buff that sits back on the couch and likes to watch whats on the TV. Depending on your choice, you might prefer a bit louder for the movie or a bit more of a peaceful ambience for relaxing. One of the biggest changes you can have on any room is lighting. Depending how bright it is, where it is placed and what if its a toned light vs a bright light, can make a huge difference to the overall feel of a room. A dimmer light automatically makes more of a comfortable setting. You should visit some lighting shops to have a look at the types of lighting that is available. If you do find some, make sure to use the same bulbs that were used in the demonstration as it might only by a low watt bulb you seen on the demo. Do you have visitors often to your home? Is it a family home? Sofa and chairs take up a significant amount of room in a living room so choosing the right style and size can help if you are suffering from a small living room area. The colour of your choice must also be taken into consideration. Brighter colours will always lighten up a room and more neutral colours like cream and grey will tone it down. You can use wallpaper on your walls in sections to create floral patterns or designs on your walling. Alternatively you can leave them bare and go with a two tone paint finish throughout the room. We think using an offset colour in a room helps to increase the space of a room visually. If you are thinking of selling it, use 2 colours. It will help to give a bigger impression. The colours of your walls should complement your sofa and chairs. It doesn’t have to match exactly but it should work nicely along with it. 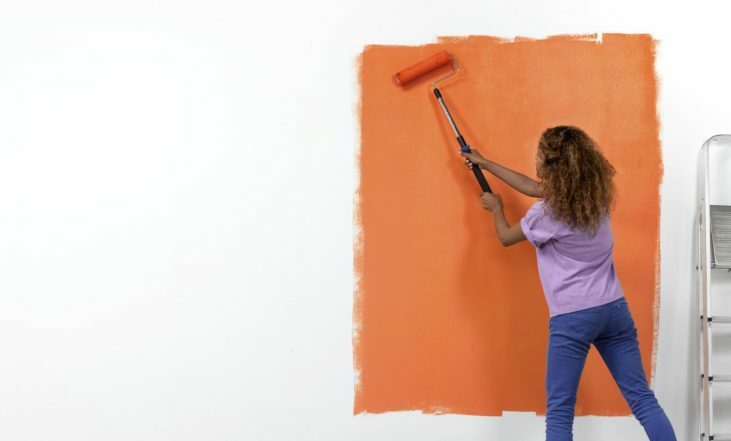 Generally your main paint colour would be a softer colour and the second colour would be a strong colour which pops out. Flooring makes a huge difference in a room as well. Carpet will always be the more comfy style of flooring but it can be hard to maintain. Wooden flooring is much easier to maintain but not as warm as carpet on a floor. The choice is purely individual as good wooden flooring comes in at the same price as what a quality carpet would cost you. Always visually plenty of samples of either wood or carpets before choosing a particular style. Make sure it feels good to your hand, the colours suit your home and that is a thick enough to give long lasting value. Carpets and laminate flooring can be very thin on the cheaper ranges and you will 100% feel it once its laid down.